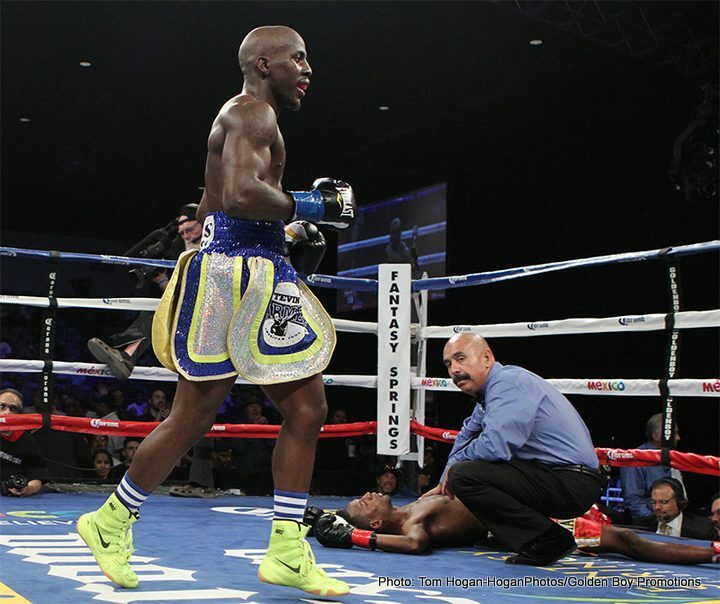 Tevin Farmer will defend his IBF World Super-Featherweight title against Francisco Fonseca at Madison Square Garden in New York on December 15, on the undercard of Canelo Alvarez challenging Rocky Fielding for the WBA World Super-Middleweight title, live on DAZN and Sky Sports. Farmer (27 – 4 – 1 6KOs) makes the second defense of his crown under two months in his third fight in just over four months after he first put the belt on the line in Boston, where he blasted hard-hitting Northern Irishman James Tennyson away inside five rounds in a fantastic performance on DAZN. The Philadelphia ace looks to crown a great year in his career in style at the Manhattan boxing mecca with a third huge win, having landed the vacant title in Australia in August with a landslide points win over local favorite Billy Dib in Sydney – erasing the disappointment of his controversial loss to Kenichi Ogawa in Las Vegas in December, with the hotly-contested split decision reversal changed to a no contest following the Japanese failing a drug test. Farmer has set his sights on a unification clash with WBA champion Gervonta Davis in 2019 as he aims to stamp his name as the premier fighter at 130lbs, but Fonseca (22 – 1 – 1 16KOs), whose sole blemish on his career was in a clash for the IBF crown with Davis in August 2017, is confident of ruining those plans and enters the bout on the back of three stoppage wins inside five rounds. “Another day, another big night,” said Farmer. “I’m looking to do the same thing that I did to Tennyson – but much faster. “I’d like to thanks Tevin Farmer for the opportunity,” said Fonseca. “I see his focus is on Gervonta Davis, not on me – but you have no idea the opponent that you will clash with on December 15. “It’s brilliant to Tevin straight back out after his big win in Boston,” said Eddie Hearn. “We are keeping our guys nice and active and Tevin gets his chance to go again on the biggest stage at Madison Square Garden against Fonseca.